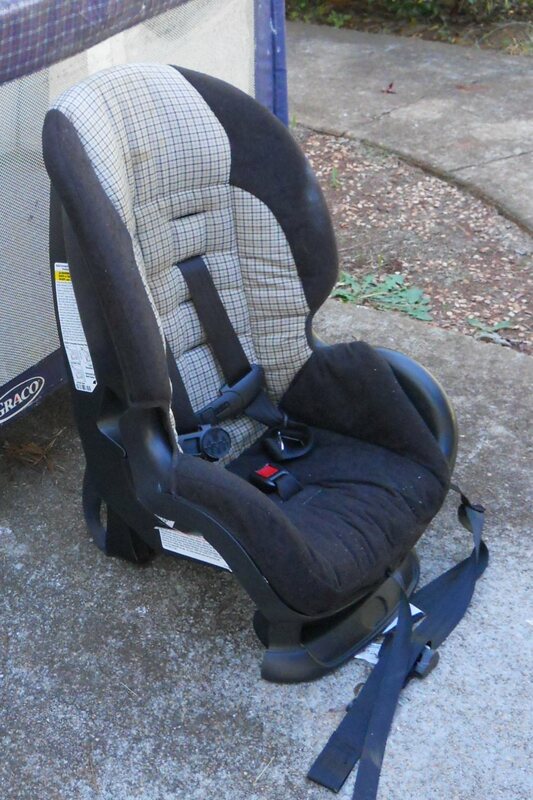 Car seats purchased at a garage sale or consignment store may be “expired”. Most manufacturers put a limit of six years from the date of manufacture, because the plastic, metal, and foam used to make the car seats start to break down. The manufacture date can be found on a sticker on the underside of the car seat; add six years and that’s the expiration date.